Ubisoft has announced plans to ship its future games with a control scheme that will make it impossible for second-hand titles to access online content without paying a fee. Called Uplay Passport, the software will accompany most of the studio's titles starting with Driver: San Francisco, which is due on August 30 in North America. Games that come with the Uplay Passport will have a single-use registration code that provides access to online content and features, including "bonus content," "exclusive offers," and of course, multiplayer. Folks who purchase a pre-owned game with Uplay Passport will have to pay $9.99 for a new registration code to unlock that material. Although this will undoubtedly annoy many of you, it shouldn't come as a total shock considering the company's draconian always-connected DRM -- not to mention the fact that CFO Alain Martinez admitted last year that Ubisoft was interested in copying EA's model. During a conference call, Martinez said Ubisoft was looking "very carefully" at EA's "$10 solution" and planned to implement its own second-hand deterrent sometime in the future. EA introduced its "Online Pass" last May and also charges people who buy used games $10 to access online content, but it also offers a seven-day trial. It's unclear if Ubisoft will offer a trial period before making folks pony up. Considering the backlash Ubisoft faced when it introduced its controversial DRM last year, some gamers will boycott Uplay Passport-enabled games. 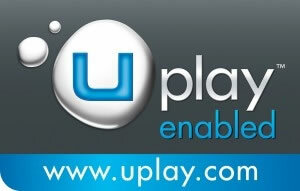 Such titles can be identified via the Uplay Passport logo on the box.